One of the world's most spectacular Christmas light displays will illuminate one of the world's most remarkable sporting venues on Sunday, when the holiday cheer of Speedway Christmas returns to Charlotte Motor Speedway. The eighth edition of the immensely popular drive-through light show opens for families and friends featuring a "Santa's Mountain" theme of light displays throughout the legendary superspeedway. Seven thousand 12-foot strands of lights - totaling nearly 16 miles - are strewn throughout the course to provide fans with a visual experience unlike any other. Dozens of speedway staff members spent more than 4,300 hours to create Speedway Christmas' drive-through course and its family-friendly attractions, which are sure to entertain attendees of all ages throughout the six-week show, which runs through Dec. 31 but is closed on Christmas Day. Building on the family-friendly holiday atmosphere, this year's Speedway Christmas will also feature an infield Christmas village Thursday-Sunday nights with a petting zoo, pony rides, Bethlehem village, crafts, games, s'more roasting, horse-drawn wagon rides and photos with Santa. 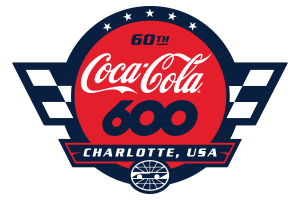 Additionally, fans can sit in their cars and cozy up to FOX 46 Movie Nights on the giant,16,000-square-foot Speedway TV every Thursday-Sunday. Nov. 19 - "National Lampoon's Christmas Vacation"
Nov. 23-26 - "Frosty's Winter Wonderland"
Nov. 30-Dec. 3 - "Fred Claus"
Dec. 7-10 - "National Lampoon's Christmas Vacation"
Dec. 18-24 - "The Polar Express"
The first look at this year's new 3.75-mile course through 3 million lights will take place for runners in the Egg Nog Jog 5K fun-run Saturday night. Registration is still open for Saturday's Egg Nog Jog 5K - a high-energy fun run to kick off the holiday festivities with hundreds of runners dressed in holiday attire taking to the speedway's spectacular infield course. 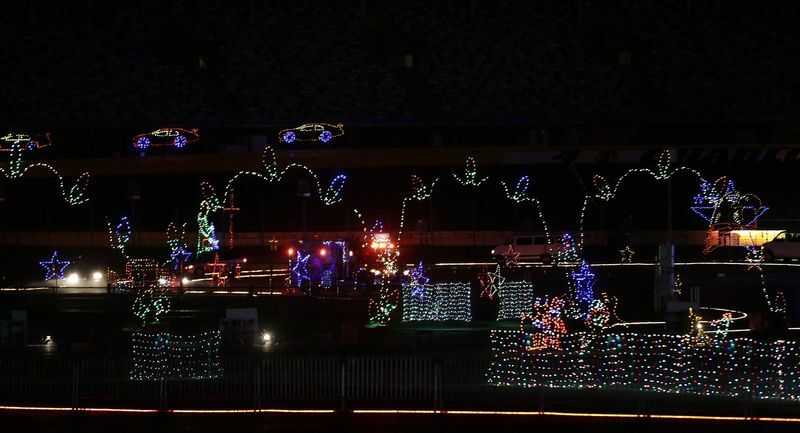 Fans can buy tickets to the Speedway Christmas lights show, which start at just $20, by calling 1-800-455-FANS (3267), or visiting http://www.charlottemotorspeedway.com/tickets/. Fans can register for the Egg Nog Jog 5K by visiting http://eggnogjog5k.com/register/. Speedway Christmas Tickets are also available at the speedway ticket office.